Actress Joanna Lumley is also an animal advocate, having spoken out against the horse carriage industry and long-distance livestock transport. Now Lumley has joined a growing campaign to save Britain’s The Farm Animal Sanctuary. According to Horse Talk. , the organization run by Janet Taylor is the oldest sanctuary for farm animals in the country, and Taylor is now facing eviction from her farm after fourteen years. The owner originally purchased the farm and gave the land to the sanctuary for their use, but now wants to take the land back. If YOU CAN HELP MIKE, IN ANY WAY, PLEASE CLICK HERE IMMEDIATELY TO EMAIL HIM. 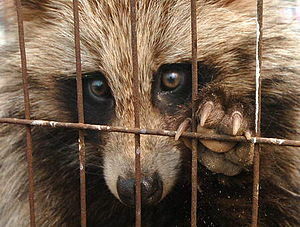 Protection 4 Animals supports the total banning of the Fur Trade. 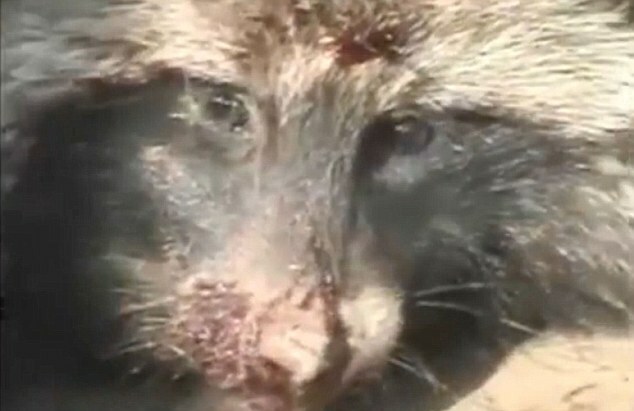 Currently while officially Dog and Cat Fur is banned in many countries, this does not apply to the Raccoon Dogs being Skinned Alive for their Fur. 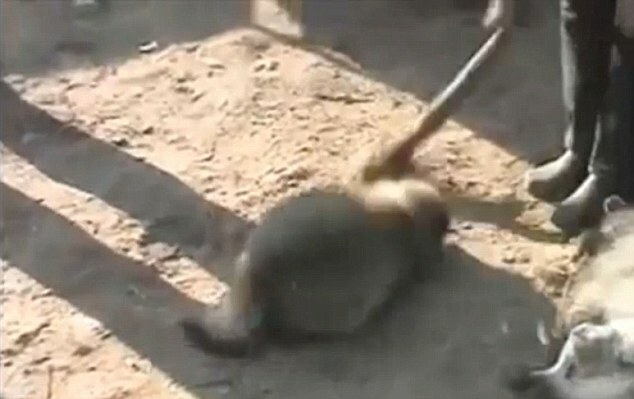 Make no mistake this is a Barbaric process carried out by Brutal Chinese workers, that beat the Dogs with Iron Bars, Kick them, Stamp on them and Slam on or against concrete walls to stop them struggling. 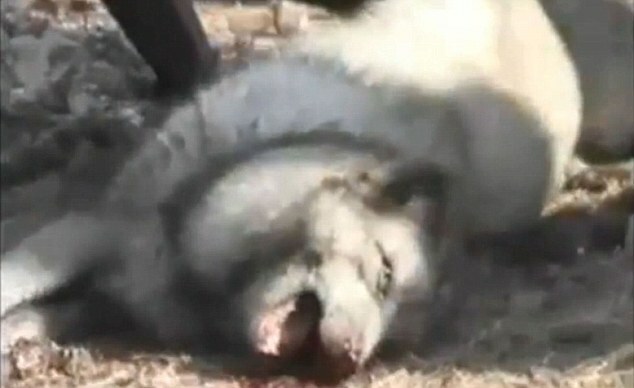 Then the Fur is Slowly torn from it’s body in the most agonising and sickening way. 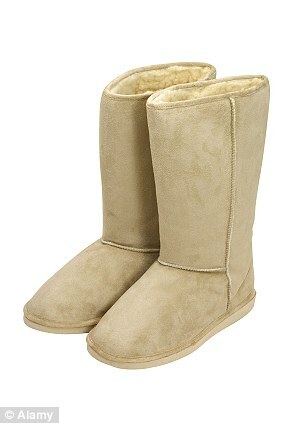 They are then thrown to one side where they suffer the most horrendous death, that can last up to 3 hours. China’s bear farms, where for decades bile has been extracted from the endangered animals in horrific conditions, have been condemned by eminent Chinese scientists. His conclusions will delight campaigners who for years have fought against the farms and freed hundreds of bears from captivity. They claim that opposition to the industry is growing as China’s burgeoning middle class become increasingly opposed to such cruelty. Dr Feng will warn the World Traditional Chinese Medicine Congress conference, however, that opponents face a hard battle with traditionalists who remain convinced that real bear bile can help cure many ailments including stomach and digestive disorders and kidney problems. Many people, including government officials, will refuse to accept substitutes, he will say. On the farms, the bears – mostly Asiatic Black Bears – are kept in tiny, cramped cages and milked for their bile through crude holes cut into the abdomen wall and the gall bladder. The wounds are deliberately left open, leaving the bears exposed to infection and disease. 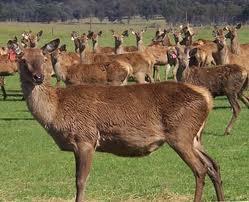 They are kept hungry and denied free access to water because this helps produce more bile. Throughout parts of China, some 10,000 endangered Asiatic black bears are currently housed in tiny, restrictive metal cages where they are systematically 'milked' of bile, a digestive fluid produced in the gallbladder which is believed to have medicinal qualities in some Asian traditions. The farms are still found in many parts of China and other Asian countries, fuelling poaching and illegal trade in the animals. Dr Feng’s research shows that herbal alternatives and bile from other animals such as cattle – which can be collected cheaply at abbatoirs – can be more effective than Bear Bile. He will argue that growing opposition to animal substitutes will mean that, eventually, only plant substitutes will be acceptable. “The final choice will have to be to use plants to substitute bear bile,” he will tell the conference at Central Hall. Animal welfare campaigners point to growing opposition to the farms inside China. Earlier this year the owner of one of the biggest bear bile farms in China – who also owns a large pharmaceutical company – sparked protests in China when he applied for approval to list his company on a stock exchange. In December 2009, 19 of China’s mainland provinces committed to becoming bear farm free. 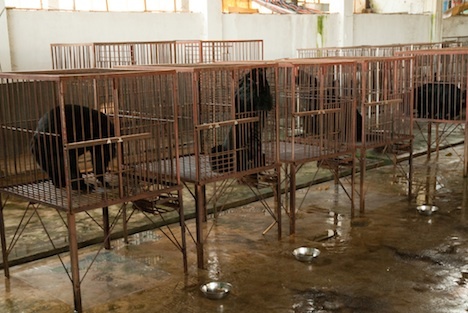 Another province, Shandong, closed its last bear farm in 2010. 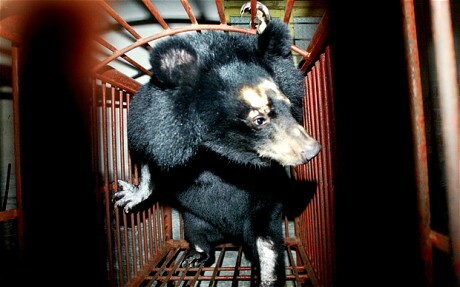 But there is growing concern that the bear bile trade is still widespread throughout Asia. 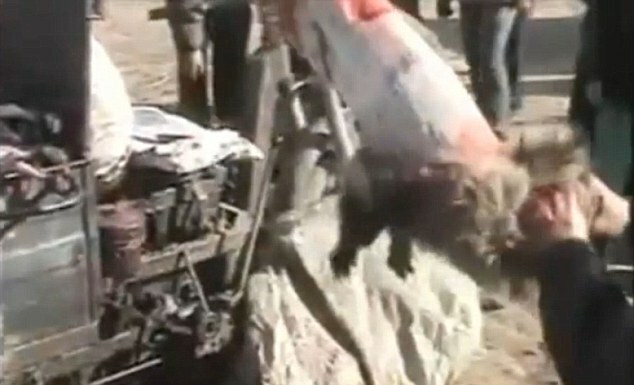 The Chinese government estimates that there are currently between 7,000 and 10,000 bears kept for their bile in China. There are an estimated 16,000 Asiatic bears living in the wild. A report in May by TRAFFIC, the wildlife monitoring network, found that poaching and illegal trade of bears, “continues unabated”, and on a large scale, mostly in China, but also in Hong Kong, Malaysia, Myanmar and Vietnam. The most common products on sale were pills and whole bear gall bladders where the bile secreted by the liver is stored. International trade in the bears, and their parts and derivatives, is prohibited under Appendix I of the Convention on International Trade in Endangered Species of Wild Fauna and Flora (CITES). The report found that the ban was widely flouted. Domestic trade of bear bile is legal but regulated in China and Japan and illegal in other countries. Bear bile has been used in traditional Chinese medicine for more than 3,000 years. 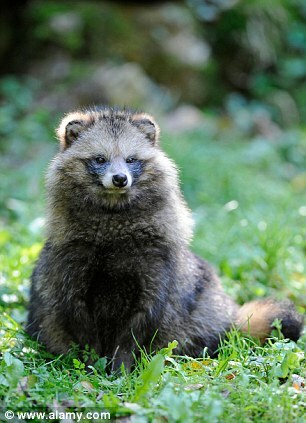 Until about 30 years ago, the only way to acquire bear bile was by killing a wild animal and removing its gall bladder. In the early 1980s bear farms began appearing in North Korea and quickly spread to China. Bears rescued from farms by Animals Asia are found to be suffering from liver cancer, blindness, shattered teeth and ulcerated gums. Contaminated bile from sick bears poses a threat to human health. The campaign has won support from celebrities including Joanna Lumley, the actress. “Bear farming is a cruel and unnecessary practice,” she said.